1. 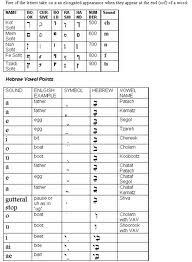 Phonetics is a branch of linguistics that comprises the study of the sounds of human speech. It is concerned with the physical properties of speech sounds (phones):their physiological production, acoustic properties, auditory perception, and neurophysiological status. Phonetics was studied as early as 500 BC in ancient India, with Pāṇini's account of the place and manner of articulation of consonants in his 5th century BC treatise on Sanskrit. The major Indic alphabets today order their consonants according to Pāṇini's classification. 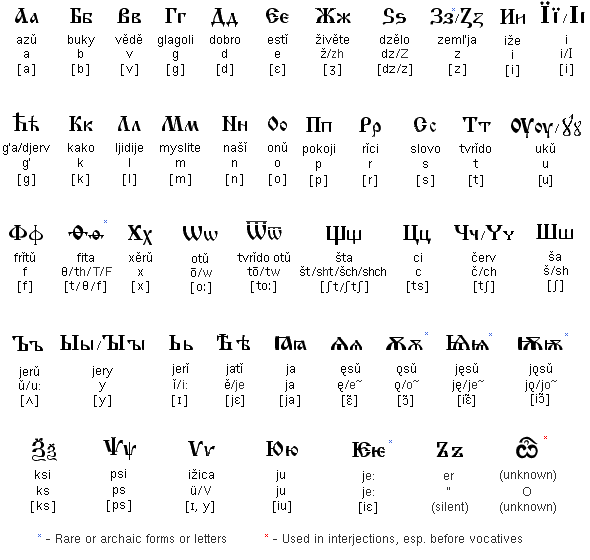 The Ancient Greeks are credited as the first to base a writing system on a phonetic alphabet. Modern phonetics began with Alexander Melville Bell, whose Visible Speech (1867) introduced a system of precise notation for writing down speech sounds. The study of phonetics grew quickly in the late 19th century partly due to the invention of phonograph, which allowed the speech signal to be recorded. Phoneticians were able to replay the speech signal several times and apply acoustic filters to the signal. In doing so, one was able to more carefully deduce the acoustic nature of the speech signal. - Articulatory phonetics is concerned with the articulation of speech: The position, shape, and movement of articulators or speech organs, such as the lips, tongue, and vocal folds. - Acoustic phonetics is concerned with acoustics of speech: The spectro-temporal properties of the sound waves produced by speech, such as their frequency, amplitude, and harmonic structure. - Auditory phonetics is concerned with speech perception: the perception, categorization, and recognition of speech sounds and the role of the auditory system and the brain in the same. 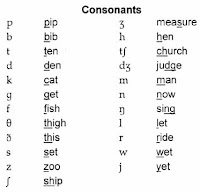 Phonetic transcription is a system for transcribing sounds that occur in spoken language or signed language. 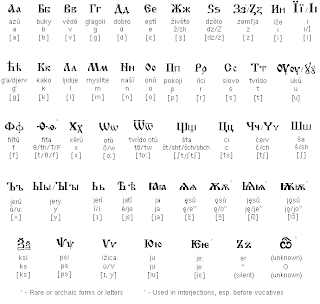 The most widely known system of phonetic transcription, the International Phonetic Alphabet (IPA), uses a one-to-one mapping between phones and written symbols. The standardized nature of the International Phonetic Alphabet enables its users to transcribe accurately and consistently the phones of different languages, dialects, and idiolects. 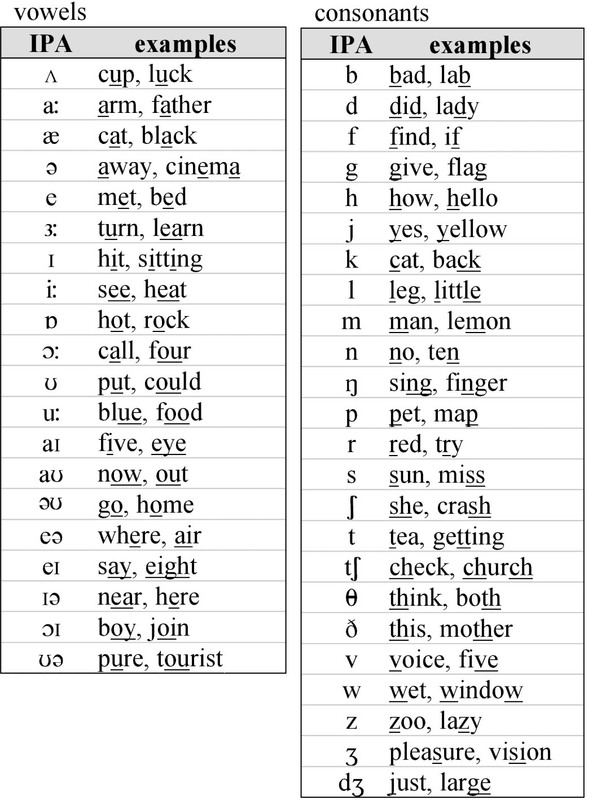 The International Phonetic Alphabet is a useful tool not only for the study of phonetics, but also for language teaching, professional acting, and speech pathology. 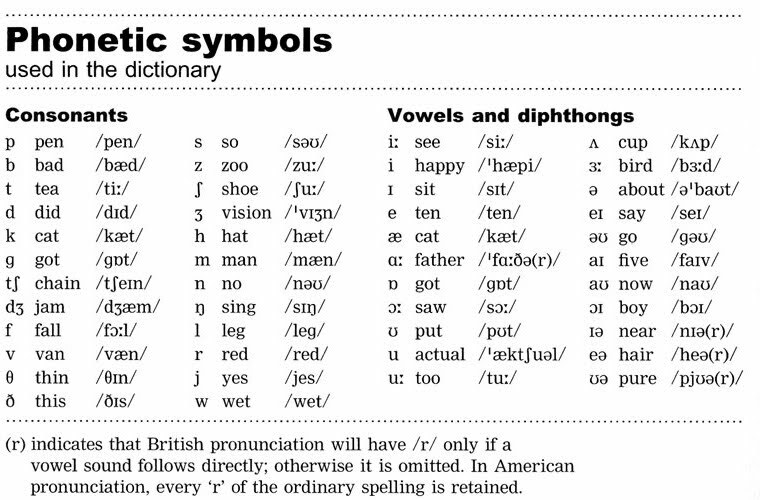 Subfield of phonetics. Articulatory phoneticians are interested in how the different structures of the vocal tract, called the articulators (tongue, lips, jaw, palate, teeth etc. ), interact to create the specific sounds. 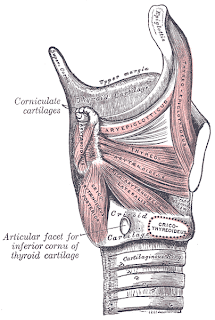 Describes how the tongue, lips, and other speech organs involved in making a sound make contact. Often the concept is only used for the production of consonants. For any place of articulation, there may be several manners. 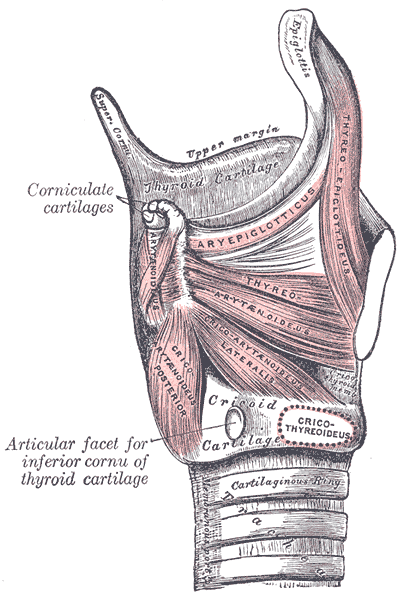 Articulation may be divided into two large classes: obstruents and sonorants. a) Obstruent: consonant sound formed by obstructing outward airflow, causing increased air pressure in the vocal tract. There is a distinctive opposition between voiceless (sound in which the vocal cords do not vibrate) and voiced (the vocal cords vibrate) types. Obstruents are subdivided into stops, fricatives, and affricates. Obstruents are prototypically voiceless, though voiced obstruents are common. the effect that the onset of the occlusion has on the preceding vowel, and well as the release burst and its effect on the following vowel. The shape and position of the tongue (the place of articulation) determine the resonant cavity that gives different plosives their characteristic sounds. All languages have plosives. Fricatives, sometimes called spirants, where there is continuous frication (turbulent and noisy airflow) at the place of articulation. Examples include English /f, s/ (voiceless), /v, z/ (voiced), etc. Most languages have fricatives, though many have only an /s/. Sibilants are a type of fricative where the airflow is guided by a groove in the tongue toward the teeth, creating a high-pitched and very distinctive sound. These are by far the most common fricatives. Fricatives at coronal (front of tongue) places of articulation are usually, though not always, sibilants. English sibilants include /s/ and /z/. Affricates, which begins like a plosive, but this releases into a fricative rather than having a separate release of its own. They behave as if they were intermediate between stops and fricatives.The English letters "ch" and "j" represent affricates. 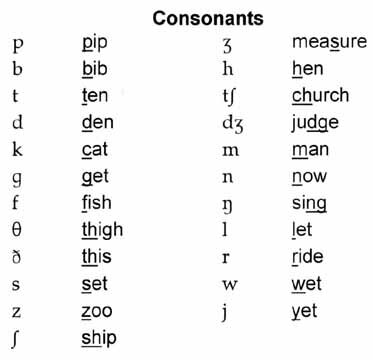 [w] is more constricted and therefore more consonant-like than the semivowel [ʊ̯]. Lateral approximants, (lateral), are a type of approximant pronounced with the side of the tongue. English /l/ is a lateral (lip). Together with the rhotics, which have similar behavior in many languages, these form a class of consonant called liquids. Nasal stops, usually shortened to nasals, where there is complete occlusionof the oral cavity, and the air passes instead through the nose. The shapeand position of the tongue determine the resonant cavity that givesdifferent nasal stops their characteristic sounds. Examples include English /m, n/. Nearly all languages have nasals. Flap, often called a tap, is a momentary closure of the oral cavity. The "tt" of "utter" and the "dd" of "udder" are pronounced as a flap in North American English. Trill, in which the articulator (usually the tip of the tongue) is held in place and the airstream causes it to vibrate. The double "r" of Spanish "carro" is a trill. Trills and flaps, where there are one or more brief occlusions, constitute a class of consonant called rhotics. a) Labials: consonants articulated either with both lips (bilabial articulation) or with the lower lip and the upper teeth (labiodental articulation). English [m] is a bilabial nasal sonorant, [b] and [p] are bilabial stops (plosives), [v] and [f] are labiodental fricatives. 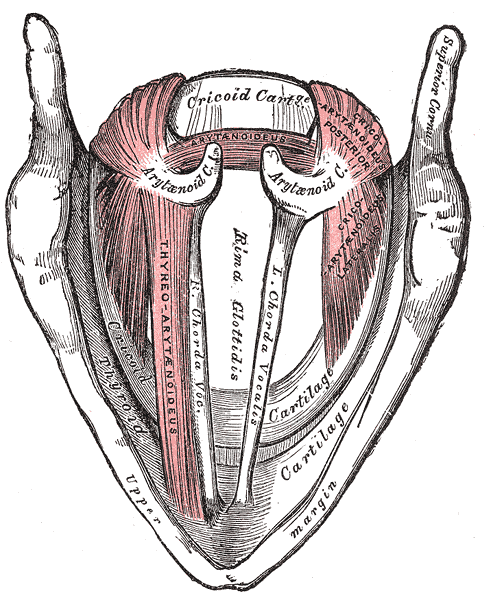 b) Coronal: articulated with the flexible front part of the tongue. 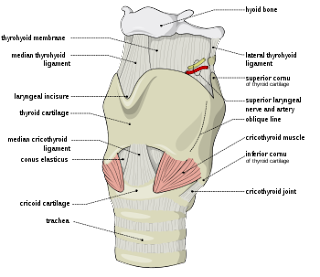 They can be divided into apical (using the tongue tip), laminal (using the tongue blade), domed (with the tongue bunched up), or sub-apical (with the tongue curled back). Coronal places of articulation include the dental consonants, the alveolar consonants, the postalveolar consonants (palato-alveolars). Dental: articulated with the tongue against the upper teeth. 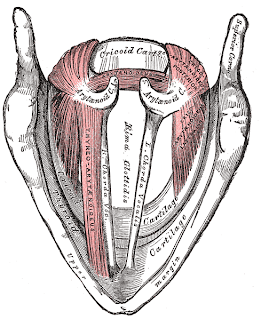 Postalveolar consonants are consonants articulated with the tongue near ortouching the back of the alveolar ridge. c) Dorsal: are articulated with the mid body of the tongue (the dorsum). Velars are consonants articulated with the back part of the tongue (the dorsum) against the soft palate. Glottal consonants are with the glottis. Sound in spoken language that is characterized by an open configuration of the vocal tract so that there is no build-up of air pressure above the glottis. A vowel is also understood to be syllabic: an equivalent open but non-syllabic sound is called a semivowel. 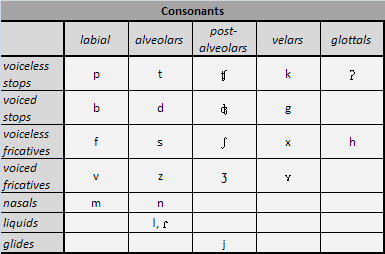 In all languages, vowels form the nucleus or peak of syllables, whereas consonants form the onset. However, some languages also allow other sounds to form the nucleus of a syllable, such as the syllabic l in English: table [teɪ.bl̩] (the stroke under the l indicates that it is syllabic). letter Y can represent both vowels and a consonant. The word vowel comes from the Latin word vocalis, meaning "speaking", because in most languages words and thus speech are not possible without vowels. roundedness (lip position). There are however more possible features of vowel quality, such as the velum position (nasality) and type of vocal fold vibration (phonation). Refers to the vertical position of the tongue relative to either the roof of the mouth or the aperture of the jaw. In high vowels, such as [i] and [u], the tongue is positioned high in the mouth, whereas in low vowels, such as [a], the tongue is positioned low in the mouth. Sometimes the terms open and close are used as synonyms for low and high for describing vowels. Refers to the horizontal tongue position during the articulation of a vowel relative to the back of the mouth. In front vowels, such as [i], the tongue is positioned forward in the mouth, whereas in back vowels, such as [u], the tongue is positioned towards the back of the mouth. Refers to whether the lips are rounded or not. In most languages, roundedness is a reinforcing feature of mid to high back vowels, and not distinctive. Usually the higher a back vowel, the more intense the rounding. Tenseness is a particular vowel quality that is phonemically contrastive in many languages, including English. Unlike most distinctive features, the feature [tense] can be interpreted only relatively, that is, in a language like English that contrasts [i:] (e.g. beat) and [ɪ] (e.g. bit), the former can be described as a tense vowel while the latter is a lax vowel. In general, tense vowels are more close than their lax counterparts. Tense vowels are sometimes claimed to be articulated with a more advanced tongue root than lax vowels, but this varies, The traditional definition, that tense vowels are produced with more "muscular tension" than lax vowels, has not been confirmed by phonetic experiments. Another hypothesis is that lax vowels are more centralized than tense vowels. There are also linguists who believe that there is no phonetic correlation to the tense-lax opposition. 2. [ɪ] is a short, lax, unrounded vowel. Spelling: i (ill) or y (party). Exceptional examples: minute /minit/; private /praivit/; women /wimin/. examples: a (many, any, Thames). (bath). Exceptionally aunt, sergeant, father, Berkeley. (board); ough (ought); a (water); ou (course). ou (southern); exceptionally oo ( blood and flood) and oe (does). 2. [ə] is the commonest English vowel. It is central, mid, lax and unrounded. (journey) and exceptionally o (colonel). ¡Maravilloso! I have been looking for a page like this for so long. You are amazing! Thanks for making this blog!